It was finally here, the long-awaited week in which we would move to Fair Winter Farm. It is safe to say things were not looking good with a long line of unsuitable farms viewed and no new farm on the horizon but then some things it would seem are just meant to be. Shirley and Nick had first viewed Fair Winter Farm back in the summer and it is safe to say Shirley had fallen for it in a big way. Unfortunately, it wasn’t to be at that time so imagine the whoops of joy that filled the air when it suddenly came back in the mix in February. 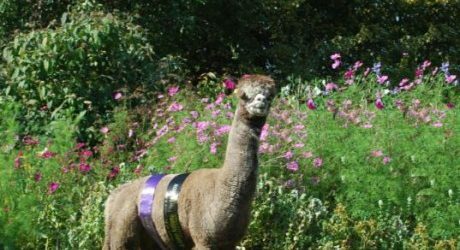 The Alpaca Evolution team has been out and about for much of November and December. We started with a visit to The Farm Business Innovation show where two of our favourite boys found themselves quite literally the centre of attention. The visitors flocked to see them and if we had charged for selfies, well I would be sunning myself in the Seychelles not writing a blog! The atmosphere was excellent and the attendance high. Einstein had attended last year so was an old hand, accepting attention very readily. As for Hercules, well he soon got himself up to speed on things and made sure he wasn’t missing out on his camera time! 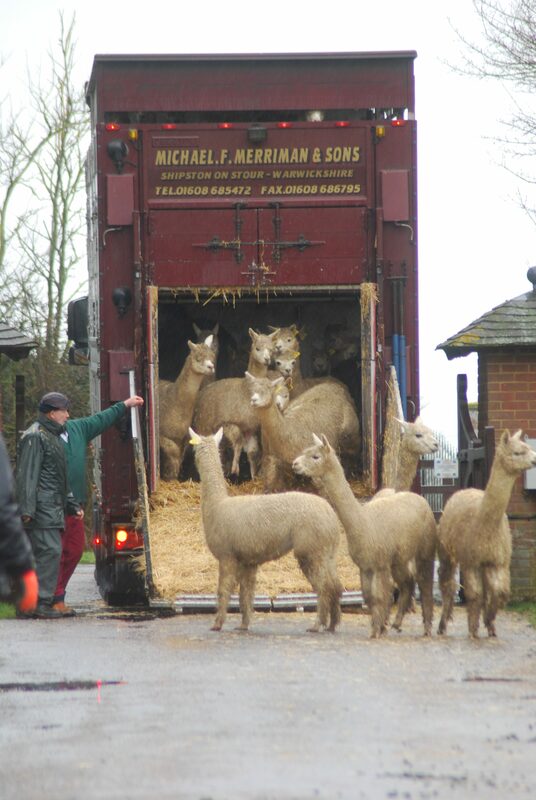 In the middle of a freezing hail storm, mud perilously close to breaching the top of your wellington boots you strive forward, edging closer to the eagerly waiting herd of Alpacas who you can just make out through your now stinging and waterlogged eyes. Why? You must have asked yourself that very question but it tends to be a fleeting thought because the answer is simple. You do it for the love of it, Alpacas no matter the weather, no matter the stresses and strains of the day become quite simply one of life’s joys.